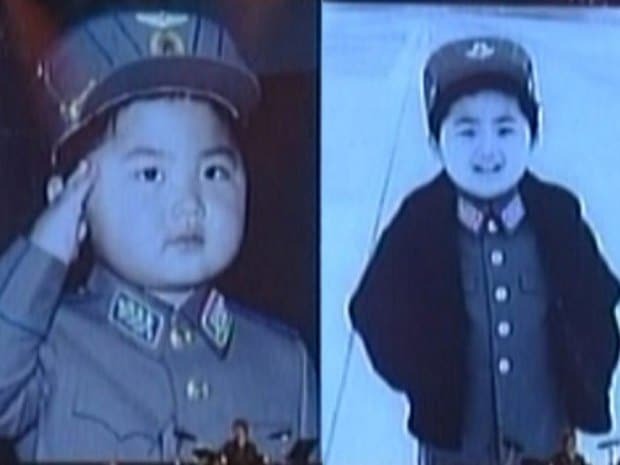 Kim Jong-un pictures as a military child are released. Propaganda with chills. 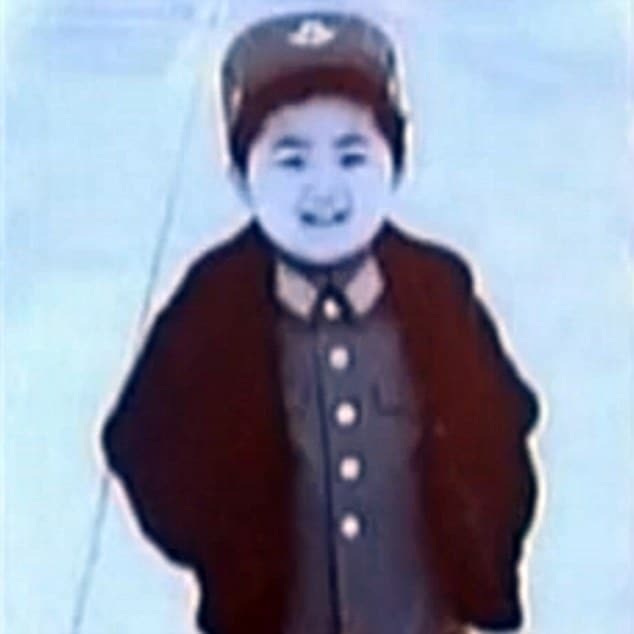 Home Scandal and Gossip Kim Jong-un pictures as a military child are released. Propaganda with chills. The indoctrination of a nation starts at childhood…. 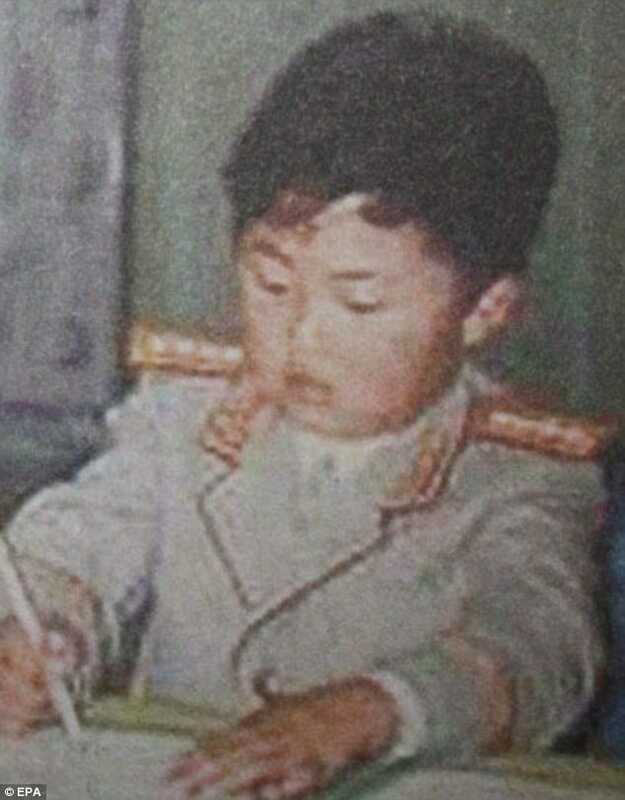 Making the media rounds are never before publicly released images of North Korea‘s dictator Kim Jong-un as a child in military uniforms. The images came to be run during a tv broadcast of a concert where at the time our collective hero met members of the country’s air force. The Kim Jong-Un haircut is now mandatory fashion sweeps or else. North Korea’s Kim Jong-un luxury spending tops $716 while country starved. Dictator Kim Jong-un rekindles relationship with mystery pop star. Is she now his wife? So who’s the mystery grinning person riding a rollercoaster with North Korea’s dictator Kim Jong un? Thousands of North Koreans face labor camps because they failed to grieve ‘hard enough’ after Kim Jong-il passed away. 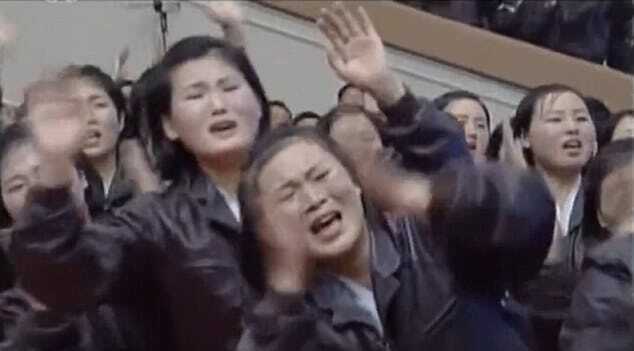 Kim Jong II throws a stellar bash for his birthday whilst his country languishes. 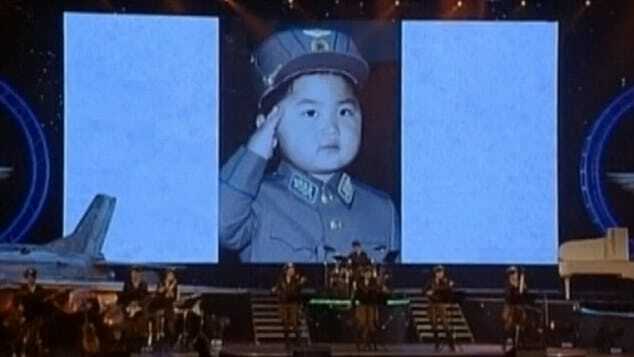 In the footage, a number of pictures from Kim’s childhood are displayed on a big screen while a military band plays on stage next to a full-scale air force plane. The images come as the latest attempt by the leader who has sought to spark his public image both at home and one assumes the world over. 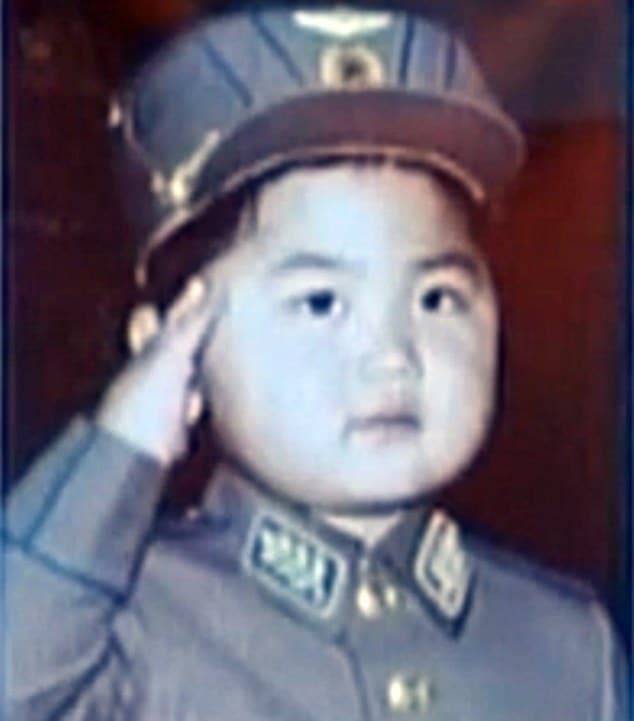 While the images of any adult as a youth may render them human and personable, one can’t help but wonder as they look at the visage of the young Kim Jung-un as he salutes in military stride that this is more about the development of the next eventual leader and dictator who was forever ordained and destined to be his nation’s savior. The photos affirm the indoctrination of North Korea’s youth and what they ought to be contemplating to be their ultimate aim in life, a zealous devotion to the powers above them with military panache. Perhaps not coincidentally the state released video finishes with the montage of a group of young girls crying, clapping and waving as the hero meets members of the air force after the concert. The release of the images is by no coincidence given North Korea’s systematic indoctrination of children as early as kindergarten, where they learn that their country has had two main enemies: the Japanese, who colonized Korea from 1910 to 1945, and the U.S., which fought against North Korea during the 1950-53 Korean War. The military themes reach a peak every year on International Children’s Day on June 1 when students convene en masse, dressed in uniforms and armed with toy rifles and bayonets for huge parades. 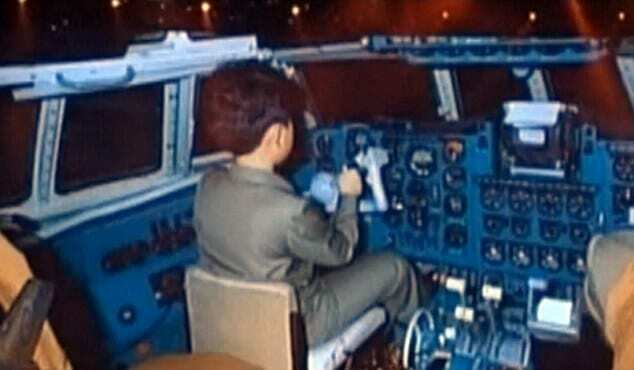 Perhaps as an interesting aside, whilst Kim Jong-un attended the prestigious International School of Berne at Switzerland as a youth, handlers made sure to keep the youth’s real identity a secret, telling simply that the future apparent heir dictator was the son of an employee at North Korea’s embassy when he enrolled in August 1998. The release of the images comes as South Korea warned that the North could be planning a fourth nuclear test to ramp up tensions ahead of President Obama‘s upcoming visit to Seoul. Because the indoctrination of children and the reiteration of their outstanding leader as a war mongrel youth reincarnated forever devoted to the greater cause is just another reminder of how lucky the children of North Korea really have it…. or do they?